I just hope APC is not giving us a foretaste of what will happen next year. Are these the signs of things to come? Like the pet dogs that we the Nigerian electorate are, our politicians, not too long ago, threw us a bone. It was called permanent voter’s card (PVC). And we rushed after it. Chasing shadows. Leaving out the real issues! The issues of perennial sabotage of the electoral process. Deluding ourselves that we were on the same page with the professional politicians who populate the big parties, the police, the armed forces, the security agencies, the electoral commission and all. But we busied ourselves on the social media, asking everyone who would listen (or read any of the rubbish we posted on our social media platforms) to go get their PVC. Some politicians even put up banners and billboards encouraging us to go get our PVCs. Some entertainers took the madness a notch higher. They organised shows where the PVC was the only ticket for admission. Of course it’s our civic responsibility to register to vote. They say it is the only power we have to change the government we don’t want, and install the one we want. They even allege that that was how we voted out Goodluck Jonathan and the PDP in 2015. I don’t want to delve into asking us if we honestly think that our votes have ever counted in recent times. Or if, as Josef Stalin, once argued, our elections have not always been decided more by those who count the votes, than by our votes per se. But then, the PVC idle talk was a worthwhile distraction. At least, it kept us busy, while the politicians perfected how to circumvent our collective will come 2019. PVC campaign? Good idea! Good effort! The down side, like I said, was that, while we were trampling over ourselves to collect our PVCs, the politicians had theirs (and several others that were not really theirs) delivered to them at their homes and offices. Of course, even as they each continued to warehouse tons of PVCs, the politicians never really believed that the PVC amounted to anything. They only took theirs because not doing so could hand their political opponents a ready blackmail tool in the future. Truth is that your average Nigerian politician is intrinsically undemocratic. Even though his trade should normally begin and end with the ballot box, he is mortally afraid of the ballot box and would do just about anything to manipulate and compromise its outcome. When he tells you to meet him at the polls, it’s not really because he is ready to submit to that free and fair popularity test; it’s just because he has put machinery in place to ensure that only what he wants would emerge from the contest. And the recently concluded (or deadlocked) party primaries bear testimony to that. 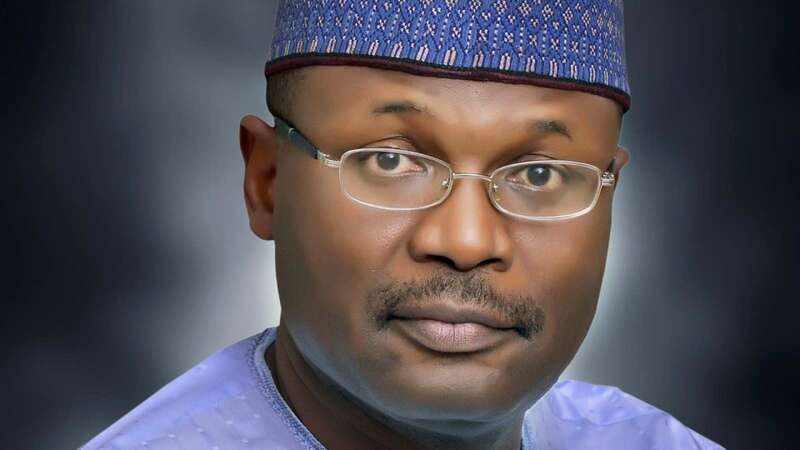 Whether it was in Delta, where one aspirant was still looking for the centre, when his rivals had already filed in a final result, or in Rivers, where two parallel primaries were taking place, using two different rule books, or Imo, where the delegates were only expected to rubber-stamp a long imposed candidate, the story was the same. And it was not much different from what played out in Ogun, Oyo, Cross River, Akwa Ibom, Kwara and Osun and Ekiti before them. Unfortunately, the supposed arbiter, the Independent National Electoral Commission (INEC), is either too compromised to do the right thing or too busy speaking so much English that you begin to wonder if the elections would be held inside textbooks. It monitors neither internal democracy within the parties nor the sanctity of its own elections. It appears to do only just what those in the executive want and finds loopholes in its own laws to justify such transgressions. INEC would keep telling you it is ready until the very last minute when everything begins to fall apart. And then it would turn round to blame the politicians. But if there is anything that is constant in all our elections, it is that politicians would want to subvert the system. The only reason we set up an INEC (and pay the professors and their team very well) is to ensure that the politicians do not succeed in their pranks. But the same INEC, which would spend hundreds of millions of naira on public enlightenment on the PVC collection, for instance, would make it literally impossible for many ordinary Nigerians to get the PVC. And as we screamed and complained and moaned, the commission literally looked the other way – the same way it looks the other way when politicians, security agents, and even some authentic INEC staff, subvert the polling process on election day. Take the governorship rerun election in Osun State, for instance. All the complaints by journalist as well as local and international observers that the process was being compromised fell on deaf ears. INEC said it wasn’t aware. All the alarm raised on polling day that thugs, security agents and agents of the favoured political parties were preventing PDP agents from gaining access to the polling centres (and their PVCs confiscated and destroyed) were ignored. And the election went on. And this was the same INEC that was quick to cancel elections and call for a rerun when it seemed Ademola Adeleke was dancing his way to victory. As the youth of today would say: Na who PVC epp? Who did PVC help? And talking of the youths, they were recently in celebratory mood, when President Muhammadu Buhari signed the Not-Too-Young-To-Run bill into law. But several months after, how many youths are getting a look-in in the main parties? Well, even the President jokingly made it clear that day, that they should wait until he has completed his second term. The alternative is for such ambitious youths to go form their own parties, and begin to build them up. And, I can assure them, before the rest of us Nigerians begin to reckon with such new parties, their founding youths would have become grandfathers and great grandmothers. I guess that is why the youths and their new parties are all eyeing the presidency almost as soon as soon as Nanny INEC has affixed them with their diapers. And they are all coming with the same malady that has ailed the older politicians all these many years. If you doubt it, take your time to find out what transpired among the new parties that recently gathered to pick a presidential candidate from among themselves. What happened immediately after Fela Durotoye was picked? The alliance collapsed almost immediately. Today, at least, three of those presidential aspirants who initially submitted themselves to that Oby Ezekwesili-superintended process are back on the circuit pursuing their presidential fantasies. I’m still waiting for what will ultimately happen to the CUPP and its not-too-novel idea of picking one consensus candidate from the pool of the presidential candidates of the member parties. Meanwhile, February 2019 is just four months down the line. And INEC keeps pushing out figures of millions of uncollected PVCs and how Nigerians are reluctant to collect their cards. Yes, the same Nigerians who daily thronged INEC office and even bribed INEC officials, wrote their names down on the infamous lists, and still ended up not getting the cards. Even my humble self, who went online to trace my details on INEC site, and took all the information to INEC office, was still asked to go and look for a temporary piece of paper, given to me as far back as 2010 – a piece of paper that had since been washed and destroyed in my trouser pocket by the dry cleaner. Meanwhile, as we head to the 2019 polls, one propaganda has consistently been sustained: the narrative is that those states where President Muhammadu Buhari is perceived not to enjoy great support are the ones where the voters are curiously not turning up to collect their PVCs. Meanwhile, even in security-challenged areas of the North East, where a myth has been contrived out of the alleged support for Buhari, persons who still can’t get into their still-largely-unsafe communities have managed collect their PVCs. And that is not the only trend. Has anyone been following the figures being turned in from the APC direct primaries? I know they possibly can’t be using card readers, but for record purposes, it’s worthy to note that Buhari garnered 2.9 million votes in Kano (from the APC alone o!) and 1.2 million votes in Borno. Are they preparing our minds for anything in 2019? Is this not what the lawyers call front-loading the facts? It’s definitely not anticipatory rigging. But it just reminds me of public office-seeking politicians and their asset declaration forms: many of them declare in anticipation of what they would loot when they get to office. I just hope APC is not giving us a foretaste of what will happen next year. Are these the signs of things to come? Even in Lagos State, ahead of the plot to rout Governor Akinwunmi Ambode through the direct primaries, the APC was already boasting that it had over 1.9 million registered members in its books. With a curious adoption of the Option A4, which the national leadership of the party said was strange to it, I was waiting to see the APC member in Lagos who would have enough balls to queue behind Ambode’s poster, in defiance of Asiwaju Bola Tinubu. But the Lagos story is a tale for another day. As for now, I’m just unhappy that they failed to hold the primaries during the public holiday, when they would have had only their party members’ heads to break, if they decided to go violent. Now, that they have again postponed , they might end up holding it on a day that many innocent non-partisans would now be caught in the crossfire.